At least seven people, including a two-year-old and eleven-year-old child, were injured in West Philadelphia after a shotgun-wielding attacker fired into a street picnic, local police said. The children were hospitalized in critical condition. 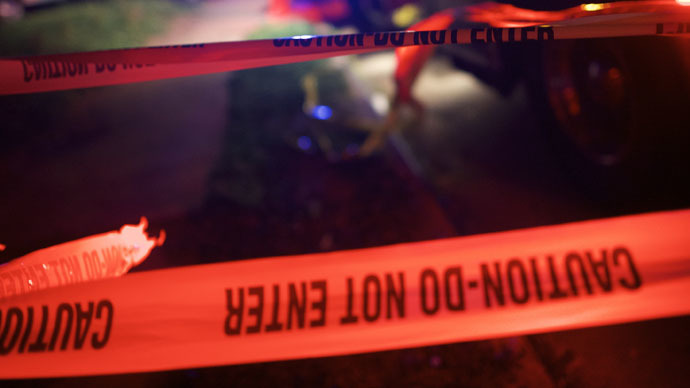 The report comes almost simultaneously with news from a block party in Detroit, where one person was killed and 9 injured in a shooting on the same Saturday evening. It was not immediately clear why the West Philadelphia shooter targeted the block party on Ogden Street, according to local police. “It looks like they just randomly fired down the street and hit anyone in their way,” NBC 10 Philadelphia quoted Philadelphia Police Lt. John Walker. The agency added that a shotgun was used to fire at the victims, which included children. An 18-month-old girl was rushed to Philadelphia’s Children’s Hospital with a neck wound, while another girl, aged 11, was struck in the knee, and a boy, aged 13, took a shot to the shoulder. Hospitalized in critical condition, the children were all listed as stable, according to the latest update by CBS Philly. Police later listed the ages of the rest of the victims as 22, 26, 26 and 46. The 26-year-old, a man, was shot multiple times and his condition was unknown. No arrests have yet been made in connection with the shooting, but investigators believe the gunman was not attending the party at any time during the night. Police officers described the crime scene as extremely chaotic and a “terrible situation,” with people frantically trying to help the injured baby girl as heavy rain began to pour.